Originally published on The Electric BMW i3. Over the course of 56,000 miles, I’ve driven on pure battery 96% of the time. My 2014 BMW i3 REx is now 27 months old, and the mileage on the odometer just recently surpassed 56,000 miles. I’ve needed a little over 15,000 kWh of electricity, and exactly 50 gallons of gas to power the vehicle thus far. That means I’ve driven on pure battery about 96% of the time, and managed an impressive overall gasoline consumption of 1,120 mpg. Normally I wouldn’t highlight the gasoline use in my electric car; it’s really not something most electric vehicle owners like to do. However, as many Chevrolet Volt owners can attest to, adding a range extender to a short range (under 100 mile AER) electric vehicle can expand its versatility immensely. While I haven’t needed to use the REx often, there were plenty of times, especially in the winter, that I was very happy it was there. Back in early 2014, a few months before the North American i3 launch, I openly debated whether I’d buy the BEV or the i3 REx. I ultimately decided on getting the range extender, because the EPA range rating wasn’t as high as I had previously hoped. If the i3 BEV had an all electric range of 95 miles per charge or higher, I would have opted for the BEV. 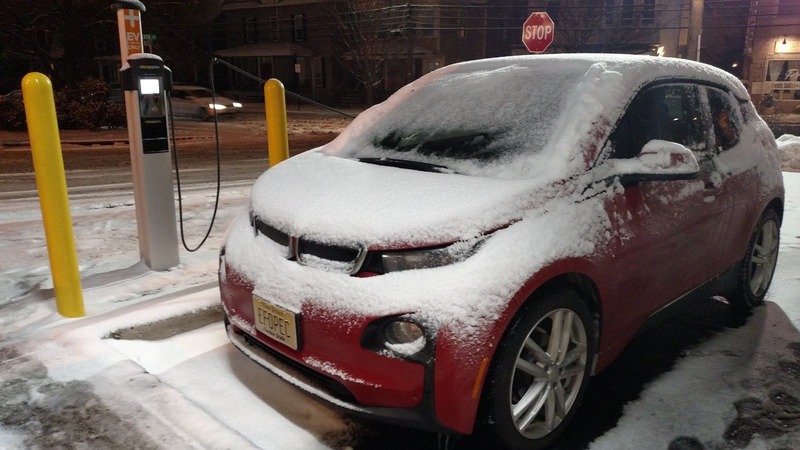 The EPA rating of 81 miles per charge just wouldn’t be enough for my high mileage driving needs, and even though I had lived the past five years with two pure BEVs — the MINI-E and ActiveE — I chose to go back to gas with the i3 REx. However, I have to admit, I thought I’d need to use the range extender more than I actually have. Of my 56,000+ miles, only 1,925 miles have been with the range extender running. I’ve bought 50 gallons of gas (I kept records) and averaged 38 miles per gallon while the range extender was running, just slightly less than the EPA rating of 39 mpg. But just how little gas is that? Well, as I’ve said, I’ve owned the car for 27 months now, so that averages out to me needing to refill the tiny 1.9 gallon gas tank about once every month — I drink more coffee than that in a month! However, refueling hasn’t been nearly that regular. I’ve gone stretches of four or five months at a time without needing to buy gas. But I’ve also taken the car on a couple of road trips of two or three hundred miles where I needed to refuel three or four times in the same day to complete the journey. In fact, the majority of my REx miles were accumulated on long trips. These trips simply wouldn’t have been possible in an i3 BEV, as charging infrastructure is only now becoming available along the routes I’ve traveled. My lawn maintenance contractor cutting the front lawn. To put the tiny amount of gas my i3 needed for the past 27 months into perspective, more gas is used in a year to mow my lawn. I have a large lot, it’s a little over two acres and most of it is grass. So I asked my lawn maintenance contractor how much gasoline he needs to mow the lawn and he told me about a gallon and a half. 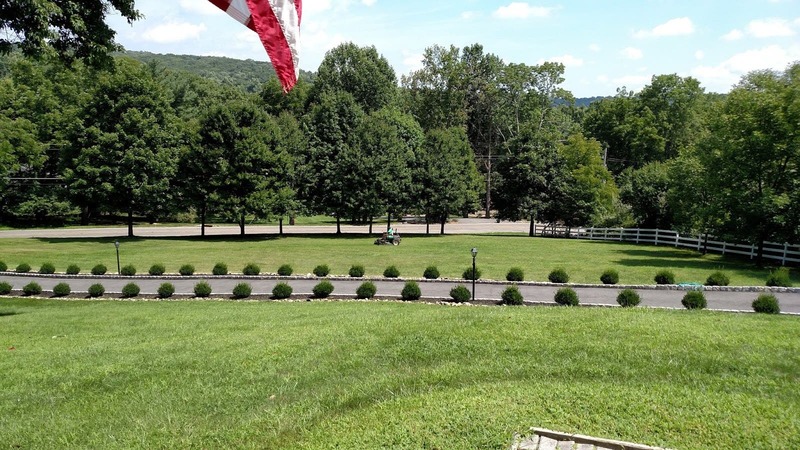 Our lawn gets cut between 32 and 36 times a mowing season, including Fall clean-ups, and that adds up to about 50 gallons of gas. I’ve spent about $145 on gasoline, but since I have solar, it’s difficult to assess exactly how much the electricity cost me. To simplify things, I’ll just assume I was paying market rate for the approximate 15,000 kWh I’ve needed. I’m currently paying about 11 cents per kWh, so that’s $1,650 for the electricity. Therefore, even if I had paid market rate for all my electric, the total cost to power my car 56,000 was $1,795, or $.03 per mile. I’m sure if I could factor in the exact solar discount, I’d be closer to about $.015 per mile, which is pretty incredible. I can now look back on the decision to get the range extender and confidently say it was the right choice. I probably could have managed with the BEV if the climate here in New Jersey was more like Southern California, but along with the harsh winter weather comes reduced range. From December through February, I averaged only about 55 to 60 miles per charge, down from the 70 to 75 I can rely on during the rest of the year. 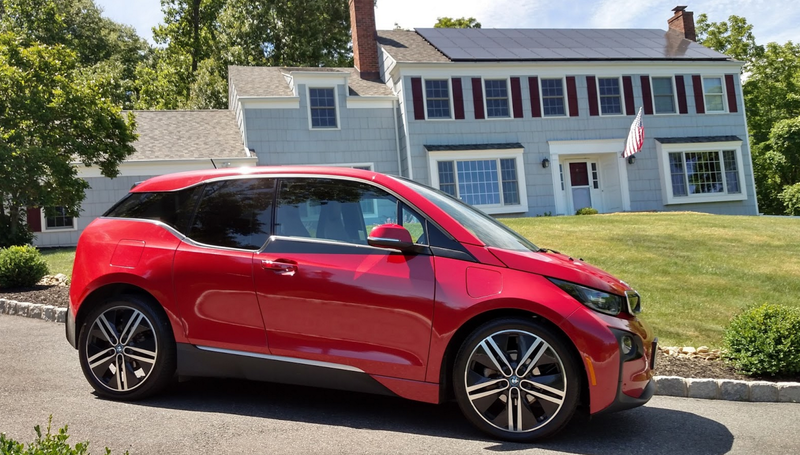 If only the BEV i3 offered the 95 or so miles of electric range I had hoped, then it would have adequately served all of my needs outside of the occasional long-distance trip. In which case we would have just used my wife’s car for the long trips instead. In fact, if I didn’t have the range extender, there would have been many days where I took my wife’s car, just in case. Most of these days, I never needed to fire up the REx, but having it there allowed me to use the car that day and not worry about rearranging my day to find a place to plug in. I’m sure if I had bought a BEV i3, it wouldn’t have 56,000 miles on it already. The good news is the 2017 i3 is getting a battery upgrade, and the range for the all-electric BEV i3 will increase from 81 miles per charge to 114 miles per charge. That’s an impressive 40% increase in range without increasing the physical size of the battery. The new battery is simply better, and more energy dense. The i3’s battery pack is comprised of 96 battery cells, packed 12 cells per module, with 8 individual modules. Each cell now holds 94 Amp-hour (94 Ah) of electricity, up from the 60 Ah cells used in the 2014 through 2016 i3s. The 2017 models will be available in the US within a few weeks, and I’ve already heard reports from new owners in Europe where they have driven as far as 130 to 150 miles on a single charge with the new, improved battery. Before long, 200 miles of electric range will be the norm, and BMW will have to up the ante again. They know that, and their battery supplier, Samsung SDI, is already far along in development of the next battery, which will undoubtedly end up in future i3s — that being the 125 Ah cell, which is not only much more energy dense than the current 94 Ah cells, but is also smaller and lighter. As EV ranges increase, and public charging infrastructure continues to mature, there’ll be less and less of a need to bother with the added complexity of a range extender. Sounds good to me, we’re just not quite there yet in my opinion. Extended range electric vehicles like the Volt and i3 REx are still a good choice for many who want to transition from gas to electric drive. There’s no magic bullet — the more options available, the healthier the plug-in electric vehicle market will be.Battery improvements and increased electric range is happening across the industry. The 2011 Nissan LEAF had an EPA range rating of 73 miles per charge. The 2016 LEAF now has a 107 mile rating and by next year it’s rumored to jump up to approximately 200 miles. By the end of the year, Chevrolet is introducing the all-electric Bolt EV which will have a 200+ mile range and replace its current all-electric offering, the Spark EV, which has an 82 mile range. The 2016 Volt now has 50% more electric range than the 2012 model did. Sometime in late 2017, Tesla is scheduled to launch the 2018 Model 3, its affordable 215+ mile electric sedan. However, even with longer ranges, increasing the public infrastructure will be key in gaining market share, especially in the more rural areas of the country.